Many of us find it difficult to concentrate and maintain our focus throughout the day. I know I am guilty of this most days. 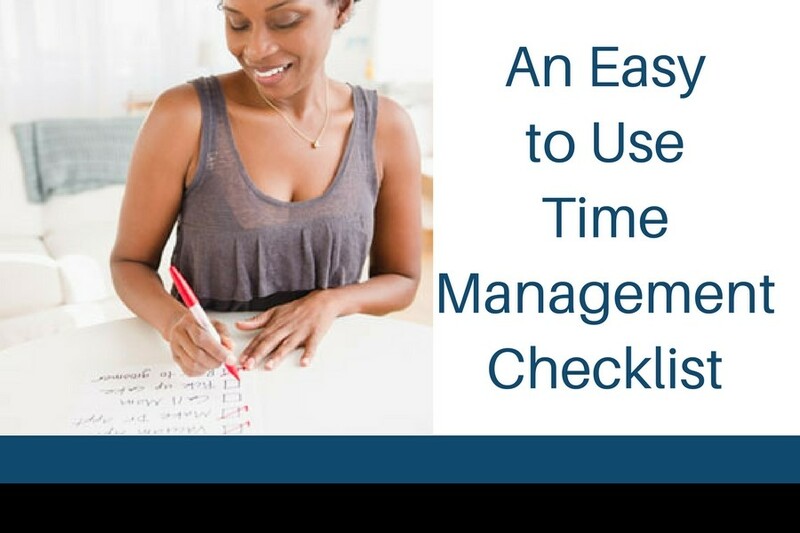 I recently discovered this time management checklist and I noticed that since I started implementing these tips I have been able to accomplish more and more each day. Below is an easy time management checklist that you can use to help you become more focused and productive on a daily basis. What does my morning routine consist of? Do I eat a healthy breakfast and get straight to work? Or do I dilly–dally and waste time on unimportant tasks? Do I organize my to–do list? When I begin, do I focus on difficult tasks first to get them out of the way, or do I tackle smaller jobs to build momentum? There is no right or wrong way, just as long as I am productive. Do I plan what needs to get done? Or do I go through a mad rush and miss deadlines? Do I dread certain tasks? Who can I ask for help to get things done? Do I hold myself accountable for my deadlines? Do I respect and value my time? Am I constantly multi–tasking or do I focus on one task at a time? The truth is that multi–tasking often diminishes my quality of work. Am I constantly interrupted by emails, IMs, phone calls, or disruptive noises? Do I strive to avoid and eliminate all distractions? Do I step away from a project to refresh my mind? Or do I try to work even if I’m exhausted? Often I need a mini–break to re–gain my energy and creativity. Do I set boundaries for routine tasks? Am I limiting disruptions by setting appropriate times for communication with others? Do I often lose track of time? If so, perhaps a timer will help me stay on track and avoid procrastination. Do I break down tasks into manageable chunks? Or do I try to tackle the impossible? Do I sleep on the bus or the train on my way to work? Or do I use my time wisely to catch up on my emails, reading, or work? Are there ways to automate repetitive tasks? Can I use templates or web–based tools to help me get things done faster? If I’m unsure how, perhaps I can ask my colleagues or friends for ideas. Is my desk clear of piles and my computer optimized to find what I need? Or does clutter surround me making it difficult to get things done? Do I offer myself an incentive for a job well done? Do I work faster and harder when I have something to look forward to? Am I quick in making decisions? Or do I waste too much time weighing the pros and cons? Do I lead by example and give people the space they need to get things done? Or am I constantly pressuring myself and others? Do I take on more than I should? Or am I assertive and say no from time to time? When I am motivated, do I take immediate action? Or do I let that energy fade as I get distracted by the details? Do I have encouraging thoughts in my mind that help me focus on getting things done? Or do I grow frustrated or discouraged when a challenge springs up? My Personal Pledge: Hold your right hand up, and say: I solemnly swear that I can manage my time efficiently and effectively – I simply have to take action. As I practice each item on my checklist, my time management skills grow stronger and I will appreciate the value of each moment.